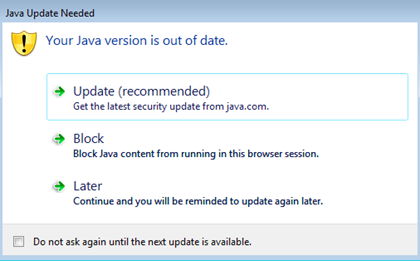 If you are running an older version of Java JRE and you visited the java enabled application, it will give an annoying prompt as illustrated in below screenshot. 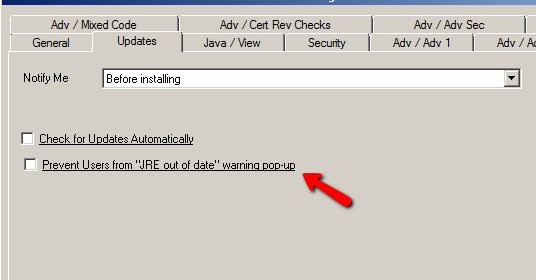 With PolicyPak’s Pre-configured PAK for Java, you can disable that prompt by un-checking this option “Prevent Users from “JRE out of date” warning pop-up”. 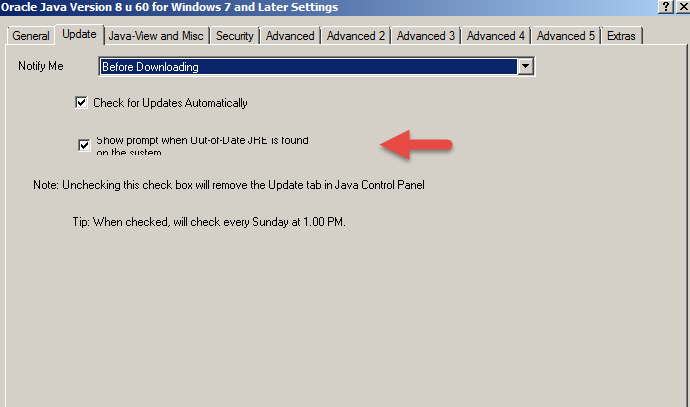 You want it un-checked and underlined.